The site was halfway between the Forge and the entrance lodge to Quorn House. 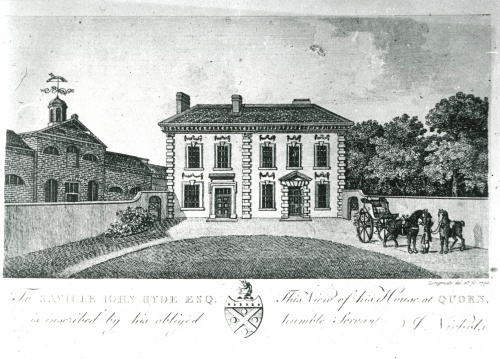 The house was built or bought by John Hyde in 1758, the house was demolished by E B Farnham in 1841. The building on the left is a tannery owned by the Inglesant family.